The very name of Rahu spreads fear in the mind of a common man since its maleficence cannot be denied but simultaneously its beneficence cannot be ignored. Under some conditions Rahu becomes a first rate yogakarka and gives excellent results during its major as well as sub period. Before moving to the subject we would like to quote what our classics say about Rahu. Great Garga opines that if Rahu happens to occupy 1st house in signs Aries, Cancer or Leo, the native becomes very wealthy. Maharishi Vasistha opines that Rahu in the 3rd house gives honour from the government. Vaidyanath says that Rahu in 3rd house makes a native valorous and rich. 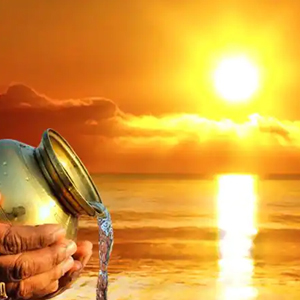 Late Pt.Gopesh Kumar Ojha opines that Rahu if located in Kendra in signs Aries, Gemini, Virgo, Cancer, Scorpio or Capricorn gives prosperity to the native. Late Pt. Ram Yatan Ojha is of view that Rahu in house 5th or 9th will give prosperity in its sub period during the mahadasa of a Yogakaraka planet. 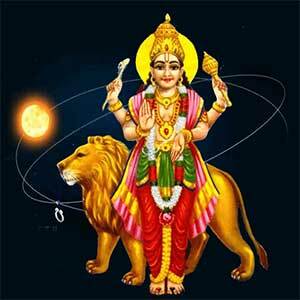 For a native born in Capricorn lagna, Rahu becomes Yogakarka if it happens to occupy 12th house with Jupiter. Mahadasa of such a Rahu will give highly beneficial results while dasa of Jupiter will be bad. 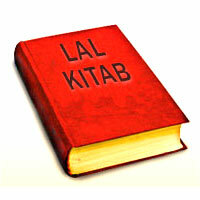 After giving the views of great scholars on the subject, we come back to our topic. Here the question arises that can all these rules be applied verbatim? If yes, Rahu will never give bad results in any horoscope. 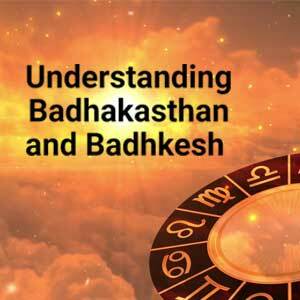 Astrology requires a lot of research and this research leads to final conclusion that there are some conditions which makes the most malefic Rahu behave like a planet to give most auspicious results and sometimes better than the best planet of the horoscope or most benefic planet. lf Rahu happens to occupy houses 3rd, 6th or 11 th from natal ascendant or from the Moon this Rahu behaves as a Yogakaraka. lf Rahu were placed in signs Virgo, Scorpio or Pisces and it is in a Kendra (quadrant) or Kona (angle) from its sign dispositor, this Rahu becomes highly auspicious. lf Rahu becomes Lagna Nakshatra Lord and is placed in a Kendra or Kona, it gives highly auspicious results. Further if this Rahu is placed in its own Nakshatra it becomes more potent to give much better results. lf Rahu is placed in a Dagdha Rasi, it will give highly auspicious results during its dasa and bhukti. If Rahu becomes a Yogi Planet and is placed in a Kendra or Kona it enhances the traits of the house it is placed in and during its dasa or bhukti it will give highly auspicious results. Rahu placed under the conditions as stated above and if it is neither conjunct nor aspected by any planet is still better to give good results. Mr.M.C.Jain an eminent astrologer of modem era has said that if the sign dispositors of Rahu and Ketu conjoin they become Karmic Control planets to give highly auspicious results. Here I would like to add what I have found from my experience that in case the sign dispositors of Rahu and Ketu are not conjoined but if Nakshatra lords of Rahu and Ketu conjoin they also become Karmic Control planets to give results as stated above. Now I will give some examples to prove the above said rules. The identities of the some cases has been withheld. In case any fellow astrologer is keen to know the said identity, he can have it from the office of AIFAS or from me. Every astrologer must be aware of this name, Parasara of modern era. 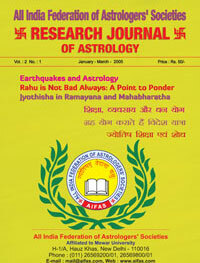 Dr.Raman was born with Aquarius sign rising in lagna. Rahu is placed in 2nd house in sign Pisces. Rahu in 2nd house gives speech related problems. gives stammering etc. But this is a well known fact that this great man was a simple graduate and he addressed many a gatherings of intellectuals within the country and abroad as well. The gathering he addressed usually comprised of well educated persons from all spheres of life holding degrees equivalent to Ph.D and D.lit. Dr.Raman spoke for hours together without any break and there used to be pin drop silence in the hall. Now if we look at the position of Rahu, it is 11th from the Natal Moon in sign Pisces in a trine from its sign dispositor Jupiter. Here rules No.1 and 2 apply. Native of this horoscope was born with sign Leo rising in Lagna. Rahu is placed in 4th house in sign Scorpio. Mars is Yogakarka since it has lord ship over a Kendra ie. 4th House and Kona ie. 9th house. During the major Period of Mars, the native suffered huge losses but on the beginning of Rahu’ s mahadasa, situation changed altogether and the native is heading towards grand success in every sphere of life. 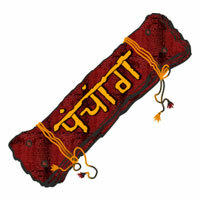 In this case Rahu is posited in Scorpio, a sign ruled by Mars and this Rahu is in a Kona from its sign dispositor. Rule No.2 applies here. Native of this horoscope was born with sign Libra rising in lagna at l3 deg., hence the cusp of lagna falls in Swati Nakshatra ruled by Rahu. Rahu in this case, becomes Lagna Nakshatra Lord. This Rahu is placed in 9th house at 7Deg 33 Minutes in sign Gemini but in its own Nakshatra ie Ardra, hence Rahu has become a powerful Yogakaraka. Further Rahu is neither conjunct nor aspected by any planet. It was Rahu’ s period when native prospered in every sphere of life. During this period native settled in business, got married, was blessed with two sons and made property. Here rules No.3 and 6 apply. Native was born with sign Aquarius rising in lagna at 18deg 34minutes, thus cusp of Lagna falls in Shatbhisha Nakshatra ruled by Rahu. Rahu in this case also becomes Lagna nakshatra lord. Rahu is placed in 11 th house in Saggitarius which happens to be a Dagdha Rasi. Rahu in this case gets three pronged strength to do good ie, it is Lagna Nakshatra Lord placed in 11 th house from natal Lagna and placed in a Dagdha Rasi. During Rahu’s mahadasa native rose to dizzy heights. He served as a General Manager in a well reputed government office. As a member of a trade delegation, the native travelled 11 countries for about 45 Days in the year 1979. Again in the year 1981 he travelled abroad against tough contenders. In 1982 native constructed a house in Simla. Thus it was Rahu’s period when native prospered. Rahu in this case gave the results of a Yogakaraka Planet. Conclusion: Rahu is though first rate malefic, is capable of giving excellent results during its maha dasa or bhukti in case Rahu confirms any of above said rules. In case Rahu fulfills more than one rule it tends to become more benefic to give much better results.